Of course it’s not Roman, but that doesn’t make it any less interesting. 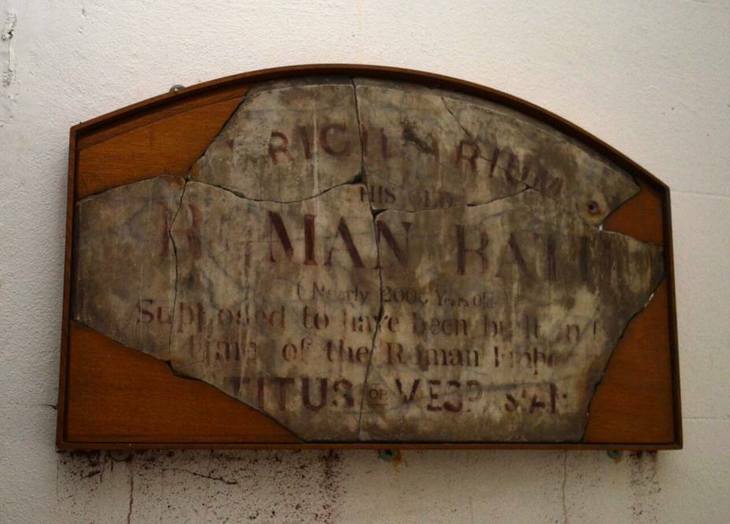 Take a quick peek at the ‘Roman’ bath just off the Strand in Strand Lane through a large arched window in the wall. Press a button to flick on the light. If you’re lucky, you may just make out a murky plunge pool in a whitewashed room. If you’re unlucky condensation on a somewhat grimy window will blot out the view completely. It is, however, entirely possible to see this extraordinary pool up close, without glass between you and almost-antiquity. More about that later. That first glance should tell you why people thought it was 1600-odd years old – all those flat, terracotta tiles piled on top of each other just scream ‘Roman’. Research by Professor Michael Trapp at King’s College London, however, shows this strange facility, accused at various times of being a Roman bath, medieval stew, the Earl of Essex’s plunge-pool and a Georgian naughty-bagnio, originally enjoyed a more glamorous purpose than any of the above. It was also, at the height of its powers, a much bigger affair — one of two baths. 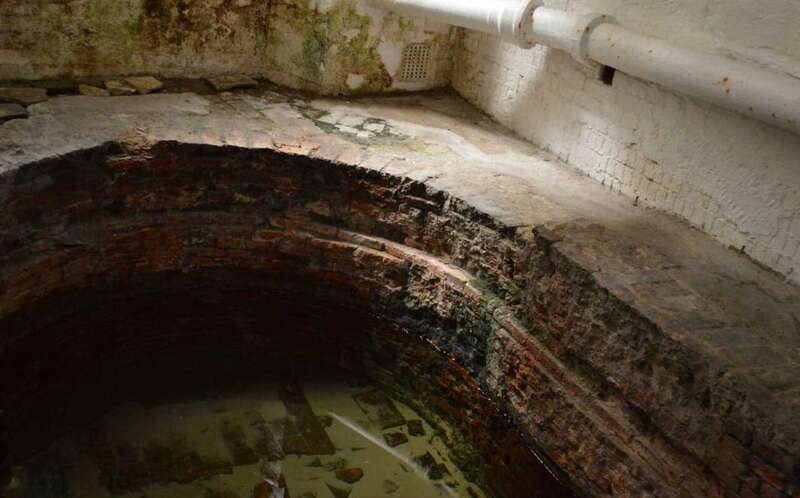 The shallow cistern, full of crystal-clear water and with just the slightest hint of shifting sands in the bottom was created in 1612 as a feed tank for an extraordinary rococo grotto-fountain in the gigantic riverside gardens of Somerset House, for James I’s queen, Anne of Denmark. Similar to the still-extant Parnassus Fountain in the Cabbage Market at Brno, Czech Republic (no, really), the water feature didn’t last long – Professor Trapp thinks it was probably gone by the 1630s. The cistern fell into disuse, merely referred to as the 'Old Water House'. Next we know, it’s been refurbished as the ‘Cold Bath’; a 1776 newspaper advertisement announces it's ‘now open’. Proprietor, James Smith, cashing in on Covent Garden’s trendiness, hit paydirt. He enlarged it two years later, with separate entrances for ladies and gentlemen, and two baths, complete with dressing rooms. The baths closed in 1893, when the owner of the Norfolk Hotel bought the second pool to extend his premises, stripping out the marble, Dutch tiles and some random busts and columns before covering it over. The fancy tiles and marble slabs stacked at the back of the current pool were originally part of the second bath. 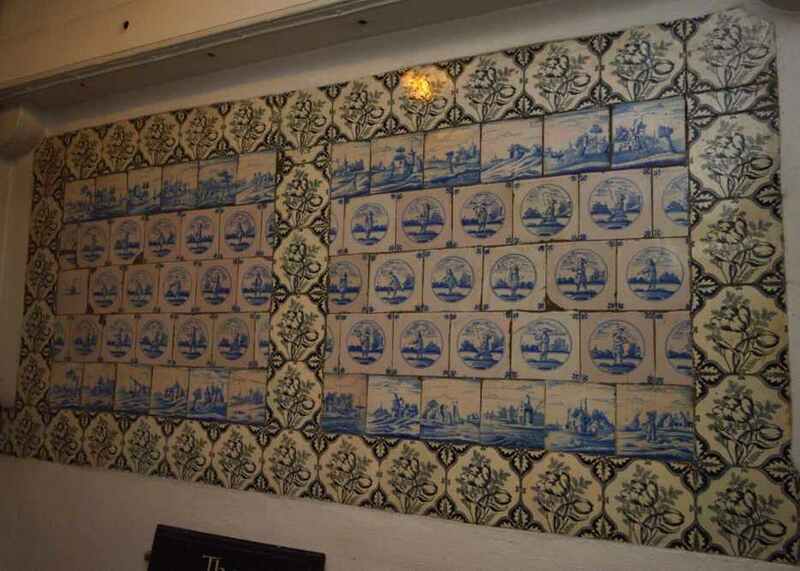 A blocked doorway, surrounded by more Delft tiles, led to the extra rooms. Other doorways at the back connected the wet areas to No. 33 Surrey Street. The claim might be totally wrong, but becoming Roman actually saved this strange little corner of London weirdness. The early 20th Century saw the bath unloved once more, and demolition loomed until 1922 when the Rector of St Clement Danes (that church in the middle of the Strand) bought it for £500, firmly convinced of its antiquity. Reverend William Pennington-Bickford had the Georgian/Victorian decoration stripped away to reveal its full ‘Roman-ness’ and even started a fund to excavate the rest of the Roman villa that must be hidden under the city streets. Once again, though, public interest flagged. After the second world war the National Trust was dragged, kicking and screaming, to take it on, but this was 1947; funds were stretched and the NT were already pretty sure the bath had nothing to do with the Romans. They only agreed on condition someone else paid for it (step forward for your laurels, unsung Montague Meyer, whose timber business still exists but whose website, extraordinarily, makes no mention of the gift) and someone else administered it (step forward the lovely, unsung gardeners of Westminster Council who break off their work tending Embankment Gardens to show people round). It’s been many years since the ‘Roman Bath’ was open to visitors on a daily basis, but you can still get in to see it if you book ahead. There isn’t a huge amount to see, but it’s worth it, for the novelty of this bizarre piece of history. The first thing that hits is the heat; the place is kept warm to avoid the creeping damp and algae problem, which, given the bubbling in the plaster, has been an issue in the past. 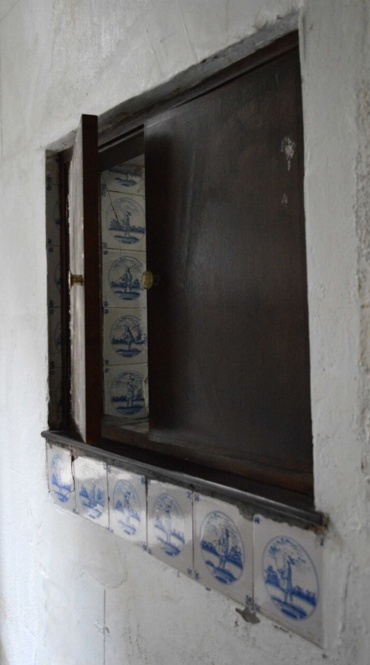 A small corridor with flagged tiles leads past the blocked-up doorway to the now-lost second bath, past a funny little hatch and an arched opening, to a small room at the back, where the attendant would have sat. Traces of other doors can just be seen. The main room, containing the plunge pool, is simple and bare, thanks to the Rev. Pennington-Bickford’s desperation for it to be Roman. Just tell yourself that without him, this charming little oddity wouldn’t be here at all. Enjoy the clear waters, the gentle stroke of Strand-sand in the bottom and the simplicity of slightly-ancient brickwork, with little cross-shaped openings and archways of jagged brick in some kind of Turkish-tribute. Don’t miss the funny little rusty iron pan in the corner which may or may not date back to the days of David Copperfield. The trip will take 10 — perhaps 15 — minutes in all, but it will be 10 minutes that enrich your life.